Add the mushrooms and the shrimp and cook for 6 to 8 minutes or until the shrimp is cooked through. Turn the heat off and add the cilantro. Serve. 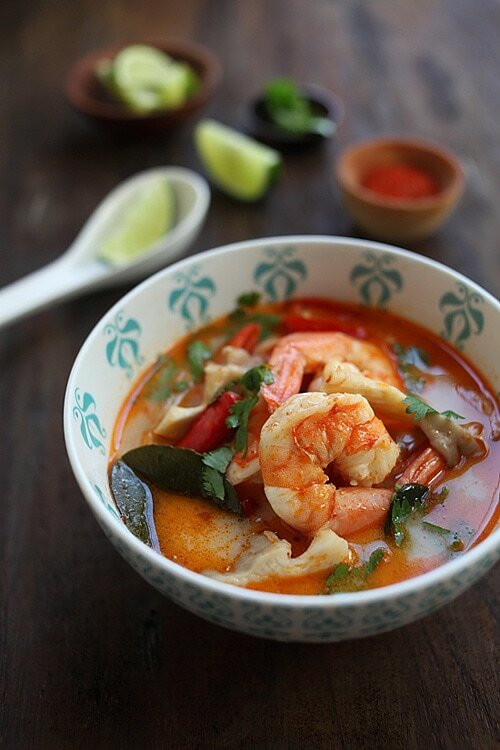 When making the Thai broth, I usually add the chiles whole so I can control the heat level. Red Curry paste is spicy. If you are not familiar with it, add 1 tablespoon and taste. You can add more if desired. Last edited by pickman; December 8th, 2018 at 05:48 AM.